Geralyn's practice focuses on general litigation, with particular emphasis on family disputes. In her over 18 years of practice, Geralyn has acted in numerous divorce cases, contested ancillary matters and applications for variation of Orders of Court in both Supreme Court & State Courts. She has conducted trials for parties in their claims for maintenance and personal protection orders and has represented parties contested custody applications. Geralyn has also acted for parties in adoption applications and applications under the new Mental Capacity Act. Geralyn's other areas of practice covers Wills and Estate Planning, and Probate and Administration. 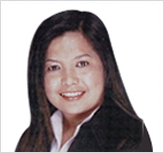 Hweelon was educated in the National University of Singapore and was called to the Singapore Bar in 1994 and is a commercial and corporate lawyer. His area of practice includes commercial disputes, insolvency, corporate and corporate secretarial, insurance and real estate work. His clients range from individuals and SMEs and MNCs. Hweelon has advised on restructuring and workouts. His clients are varied and include construction and commercial companies and he has been involved in contract dispute resolution and debt recovery matters and which he has represented these clients in trials as well as arbitration. 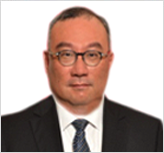 Proficient in Chinese and English, he has also advised companies in M&A matters as well as for dispute resolution matters. From 1999 to 2001, he left practice to join an e-commerce startup advising on capital markets in Hong Kong, China and Taiwan.